This is a mind map produced by Ella (7.1). 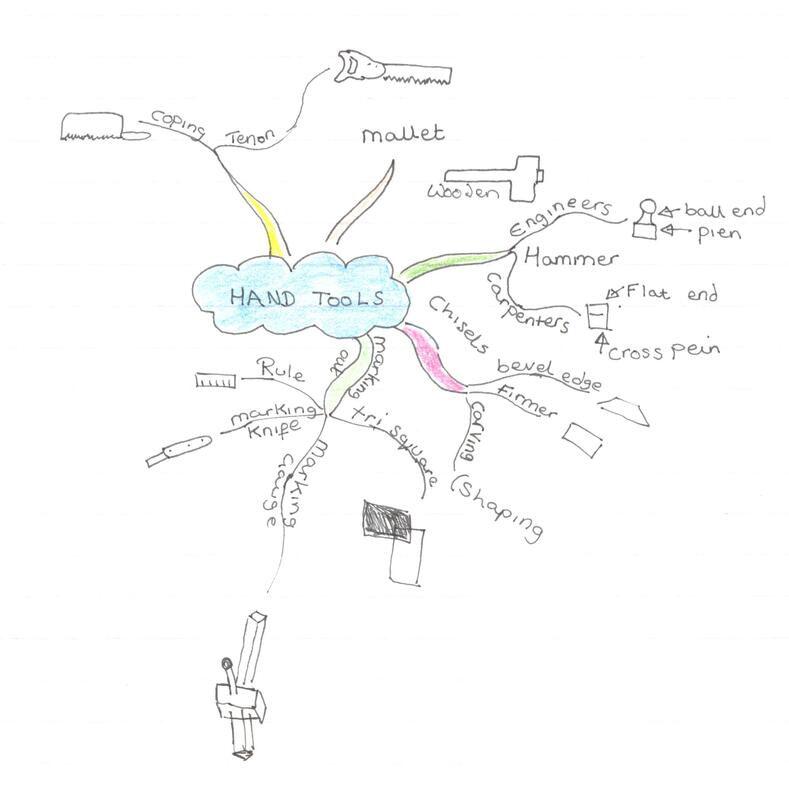 The map clearly shows the different tools and their names. You could use this to help you with your revision for your end of term exams. Notice how she has used colour, words and pictures to help her remember the names.